The winners of the annual Northamptonshire Community Foundation awards were revealed at a gala evening at the Royal Theatre. The event, sponsored by The University of Northampton and Rathbones Investment, also marked the 15th anniversary of the foundation. Twenty groups from across Kettering, Corby, Daventry and Northampton were up for an award across six categories: Lifetime Achievement Award, Edge Award, Best Newcomer Award, Trailblazer Award, Brilliant Group Award and the High Sheriff Initiative Award. In memory of Lady Juliet Townsend, past Patron of Northamptonshire Community Foundation, Lady Juliet’s husband John Townsend presented a special award for volunteering. The nominations highlighted the outstanding commitment, passion and energy given by the volunteers and their value to the community groups they support. The winner of this award Yvonne Orland has been a volunteer at Home-Start Northampton for 34 years. Amarjit Singh Atwal was highly commended for the award for his work at Sikh Community Centre and Youth Club. The foundation announced the winners of its Capture the Moment photography competition, launched as part of its anniversary celebrations. The foundation asked the people of Northamptonshire to enter a photograph that they believe represents their community and reflects their experience of life in Northamptonshire. With a fantastic response and over 70 entries the winner of the Judges’ Choice Award was Barry Richardson with his photo of Braunston Canal. The winner of the People’s Choice Award was also revealed, this award was open to the public on Northamptonshire Community Foundation’s Facebook page to choose their People’s Choice Winner out of all 75 photo entries from the competition. photo receiving a total of 193 likes. Performances by the Masque Theatre entertained the guests who saw the winners take to the stage. These included a refuge for women experiencing domestic abuse, a service providing Moses baskets to women who are struggling financially, a resource centre for recyclable goods, a film group created to promote and encourage the creation of moving image and a community centre and youth club that provides quality services to the Sikh, local and wider communities. The University of Northampton generously sponsored the event for the third year and Professor Nick Petford, Vice Chancellor of The University of Northampton said: “I am delighted that the University is the key sponsor of these Awards and of an evening that recognises and celebrates the achievements of so many organisations and individuals. Northampton’s Mission is to transform lives and inspire change - everyone nominated in these awards has exemplified this aspiration and, through their passion, commitment and dedication, made a significant positive impact on their local community”. Judges included Liam Condron from Age UK, Hassan Shah of SP Law, Hazel Kouzaris from Always a Chance, Sandra Bell, trustee Northamptonshire Community Foundation and High Sheriff, Mrs Caroline Brocklehurst. Set up by four mums this group provides Moses baskets full of essential items for mums who find themselves’ struggling financially at this critical time. Offering safe refuge accommodation Eve provides a programme for survivors of domestic abuse. groups collects surplus, unwanted, damaged stock from industry which is redistributed to members from the centres, to partner projects, food banks and abroad as Aid. A Northampton-based group that works with local artists and film-makers providing support and help by building an audience and using its network of contacts to build the local film community. 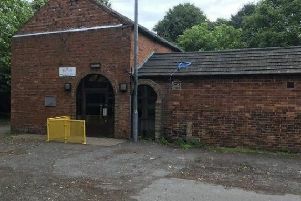 This community centre and youth club is an innovative and strong forefront organisation that provides quality services to the Sikh, local and wider communities through a host of structured services to all ages and backgrounds. Based in Daventry this group helps young people develop life skills through growing and cooking their own food and work skills by learning how to run a small enterprise. Winner: Yvonne Orland, a volunteer at Home- Start Northampton.